If you are using a previous version of VSS Pro or VSS Premier, upgrade to version 14 today! You asked for it. We delivered. 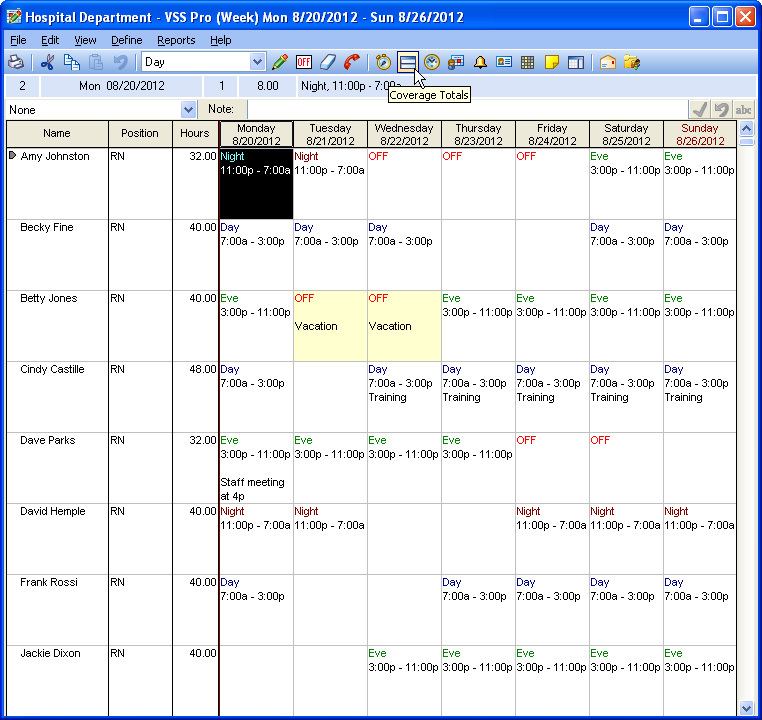 You won’t be disappointed when you upgrade to Visual Staff Scheduler Pro 14.0 or new Visual Staff Scheduler Premier 14.0. We listened to customer feedback and created features and enhancements that make employee scheduling even faster and easier. Check out the complete list of what’s new in version 14.0 and upgrade today! It’s time to work smarter, not harder. 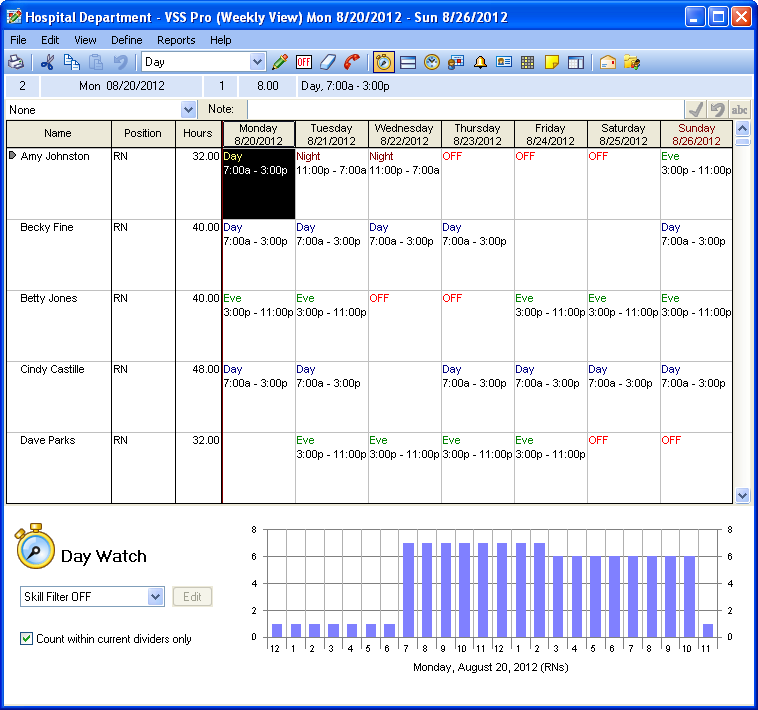 Instantly see a bar graph at the bottom of your screen showing how many people you have scheduled throughout the day. As you click different days, the graph is automatically updated. You can view all employees or only employees with certain skills or within a divider. Turn it on or off with the click of a button. Click the new Coverage Totals button to display or hide coverage total from any view. A great way to maximize screen space and only show coverage totals when you need them. Add notes to your schedule file so you know where you left off or to let other managers and schedulers know what’s going on. Schedule notes can appear whenever a schedule file is opened or are easily accessible via a button on the toolbar. Now you can import new employees into your schedule file with ease. Just click Import from the File menu and select the employee(s) you wish to add to your schedule. We’ve added 5 additional highlighters to give you 10 ways to emphasize and draw attention to important schedule information. Make sure to keep your employee scheduling software up and running. 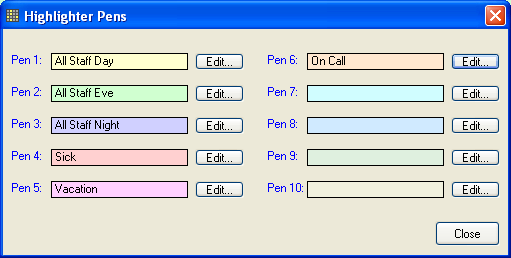 Version 14 is the ONLY version of Visual Staff Scheduler Pro and Premier guaranteed to work with Windows 7.